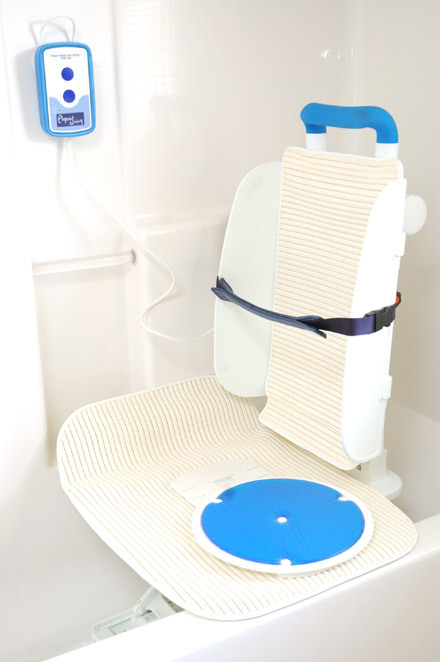 The AquaJoy is the new generation of bath lifts from Harmar and makes getting into and out of the bathtub safe, simple and easy. 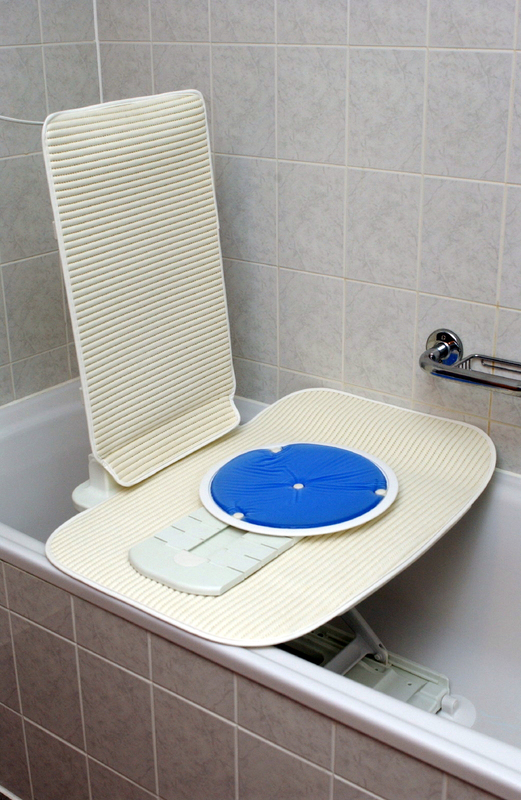 The universal design easily fits every standard bathtub and has a robust weight lifting capacity of 375 lbs. The AquaJoy has many great standard features such as comfortable, washable padding, suction cup feet for stability, easy to use battery charger, and quick and easy disassembly for storage and transportation. 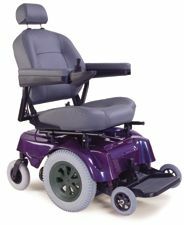 The hand control has large, easy to use buttons and is waterproof with suction cups on the back. 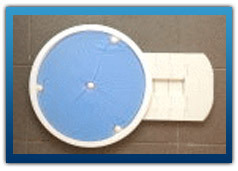 The hand control when left in the tub will simply float on the water surface or can be attached to shower wall. The AquaJoy also has many great optional accessories, such as the swivel slide seat attachment, chest or lap harness with pommel, a head rest and latteral side support wings. The low battery safety switch is a safety feature that detects if the battery has enough power to lower and raise. If the battery does not have enough power to do both, the lift will not operate. Raise seat back all the way back. It will lock in place. Battery operated with low battery safety switch. Lifting capacity of 375 lbs. Suction cup feet for stability. Waterproof, floating hand control with large buttons. Simple to disassemble for storage and transportation. Easy to use battery charger included. Total weight w/o battery 27.5 lbs. Weight of Seat 16.3 lbs. Weight of back rest 11.2 lbs. Weight of controller and battery 1.4 lbs. Charging Time with flat battery: approx 4 hours.